Today my fellow countrymen, Tim and Bart Grönefeld, a.k.a. 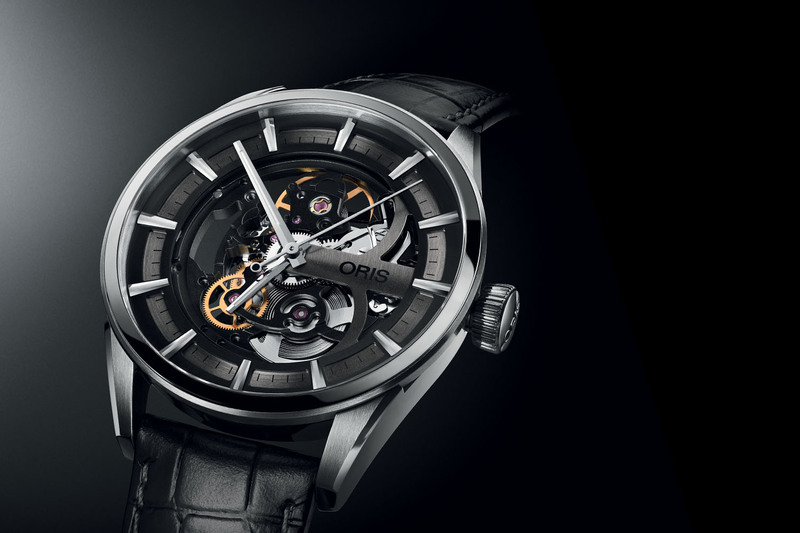 the Horological Brothers, introduce a new timepiece. This is the fourth model from the two Dutch watch makers, and again it comes with a newly self-developed movement! On first glance it could be a classic dress watch (and it is!) 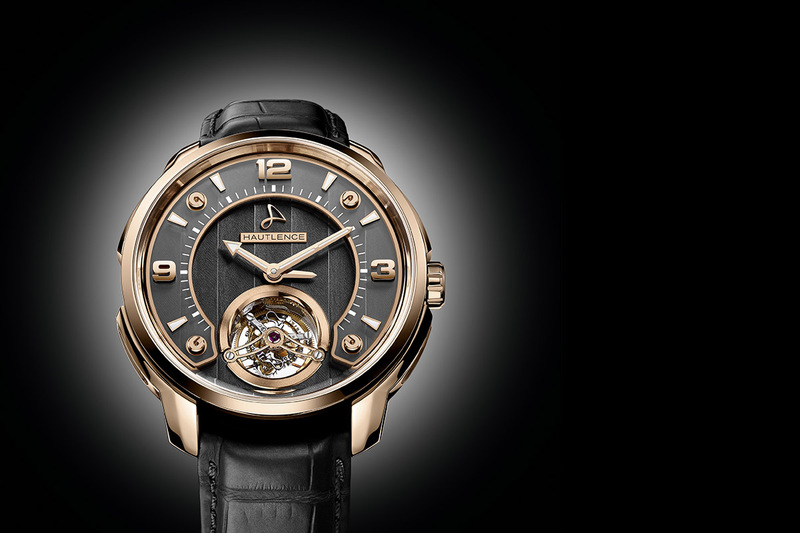 or a tourbillon watch (which it isn’t.) 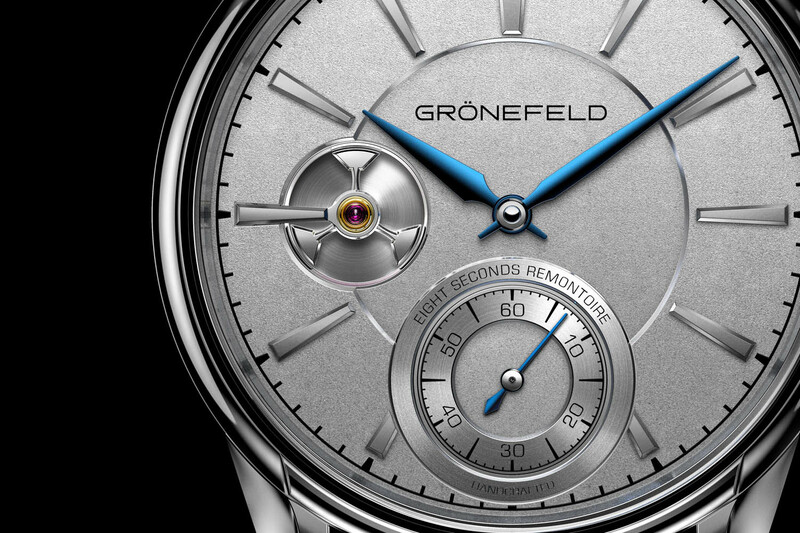 In a pure form, a classic dress watch would not have an aperture in the dial, however the new Grönefeld has a magnificently good reason for the small aperture in the dial. 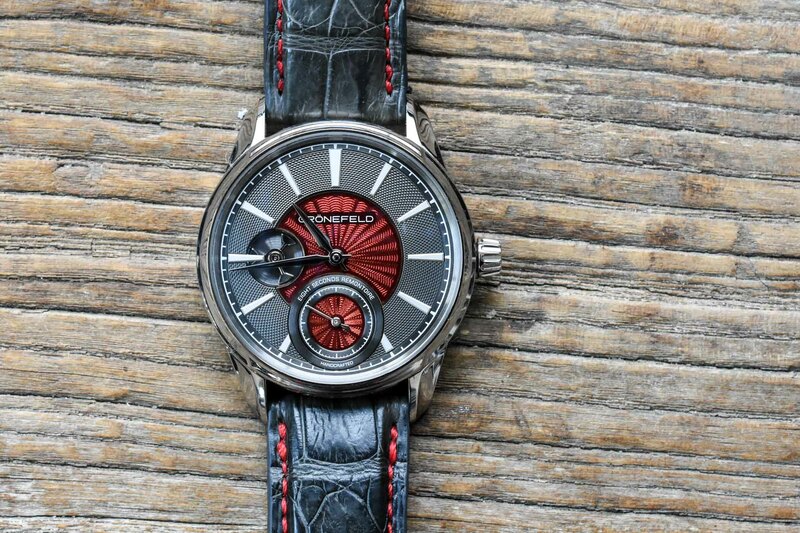 Before you think it is to show a rotating escapement (for the watch nerds, yes, I’m referring to a tourbillon), I have to say that this isn’t the case, and it also isn’t to show a vibrating balance (like in the Zenith El Primero Chronomaster Open.) What you actually can see through that aperture is a governor. 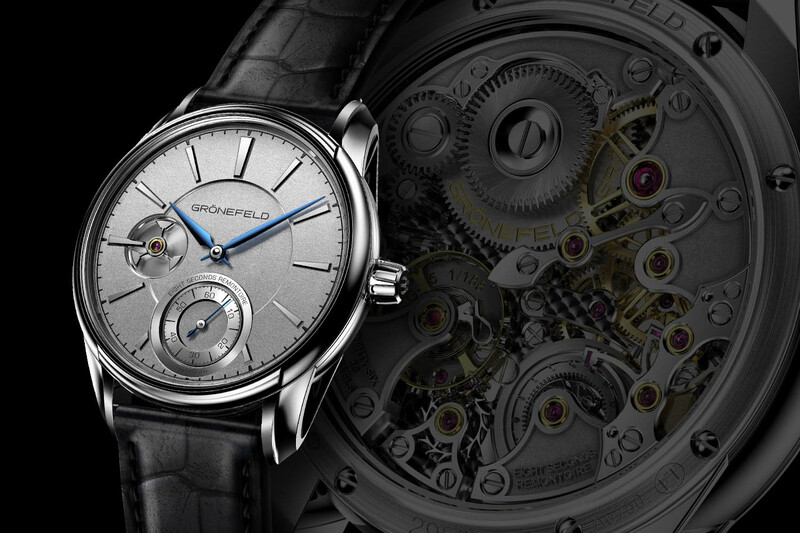 The new Grönefeld 1941 Remontoire features an eight-seconds constant force mechanism, and the governor regulates the speed of the remontoire mechanism, and mitigates shocks from the remontoire to the gear train. The new Grönefeld 1941 Remontoire ticks all boxes: a very stylish design, a stunning constant force movement, finishing is to die for, and superior precision! In this first article we will have to settle for computer renderings, instead of live photos, however I’m positive that the actual watch will be even more impressive then the renderings that we get to see today. A few weeks ago I’ve seen some first movement parts and 3D printed models of the watch, and that already got me very exited. The real deal will be very impressive, not in the last place because of the spectaculair finishing of the movement! I’ve known Bart and Tim Grönefeld for seven years, since they introduced their first wrist watch with a tourbillon and minute repeater, back in 2009. Over these seven years I’ve had the good fortune to handle their watches frequently and I always found the finishing of the Grönefeld movements to be striking, stunning, superb and magnificent. I don’t know enough superlatives, however all you need to know is that the finishing is among of the very best available on the market. What immediately stands out, when looking at the calibre G-05 movement, is the rather unusual design and positioning of the bridges. These bridges, positioned on the periphery, and resemble the facades of the old Dutch houses, that are also called ‘bell gables’. A similar design of bridges can be found on the Grönefeld One Hertz. The stainless steel (!!) bridges are hand-beveled, and polished, while the centre of each bridge is micro-blasted and adorned with bas-relief engraving. The raised edges of each bridge are straight brushed, and the screw holes are polished inside. The screw-heads are mirror-polished, and so are the screw slots and rims. Mirror-polishing can only be achieved by very skilful hands, and takes painstaking long hours to do it properly. Stainless steel bridges are typical for Grönefeld, and, when finished properly, they offer a spectacular contrast. However you should also know that stainless steel is much harder than for instance German silver (used for bridges in most high-end watches) and therefore finishing takes much more time. The jewels sit inside spacious gold chatons and offer a lovely contrast to the stainless steel bridges and spotted main plate. 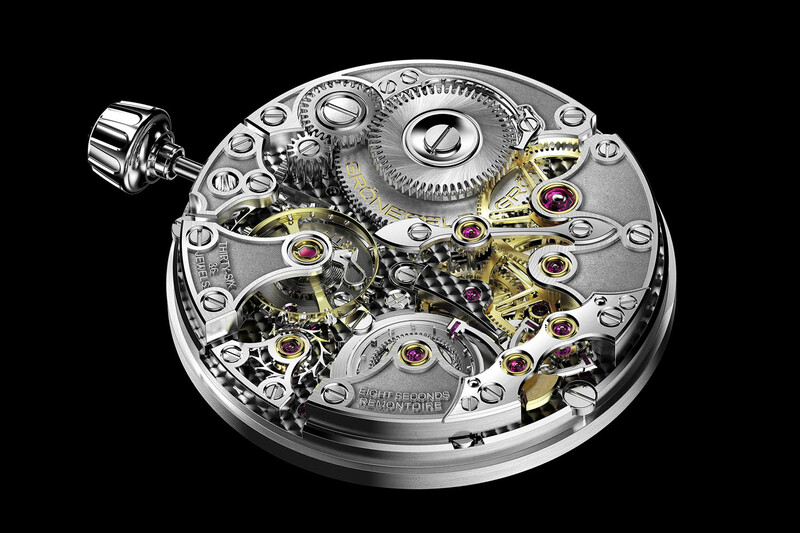 The entire movement features a host of finishing, and all of it, is executed to the very highest degree. My advice: take a loupe, preferably one from loupe systems (the very best you can get) and enjoy the sight of superlative hand-finishing. Look for instance at the escape bridge and the remontoire bridge, both of which have been mirror-polished. Or the interior angles of the double spoke-gears! STUNNING! 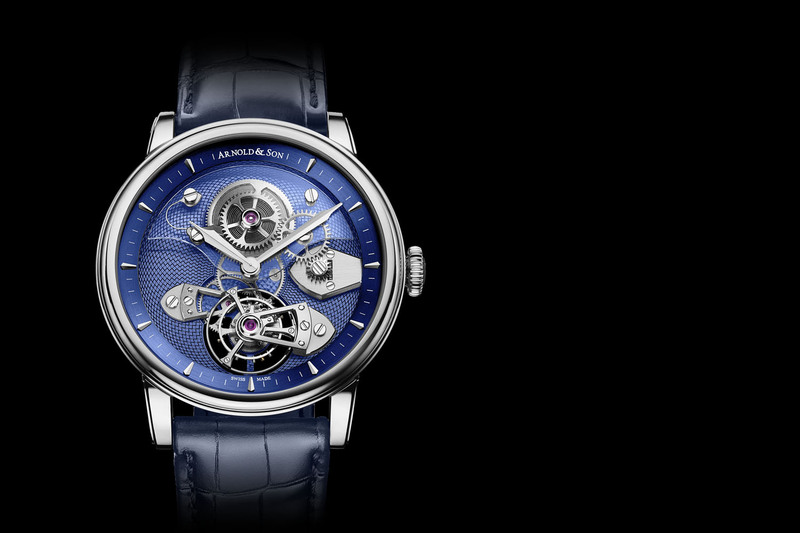 Bart and Tim Grönefeld told me that because the time-consuming creation of each movement, the production will be limited to only 188 Remontoire movements. 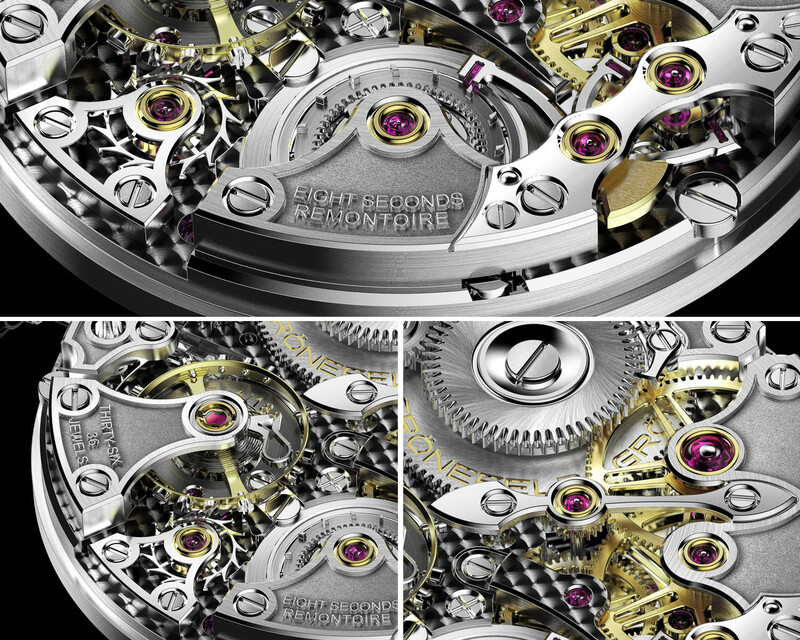 Every movement will feature its own unique serial number, engraved below the 10mm large variable-inertia balance wheel with four white gold timing screws. A remontoire is constant force mechanism, with a small spring that is charged, and subsequently releases its (relatively) small amount of energy to the escapement. 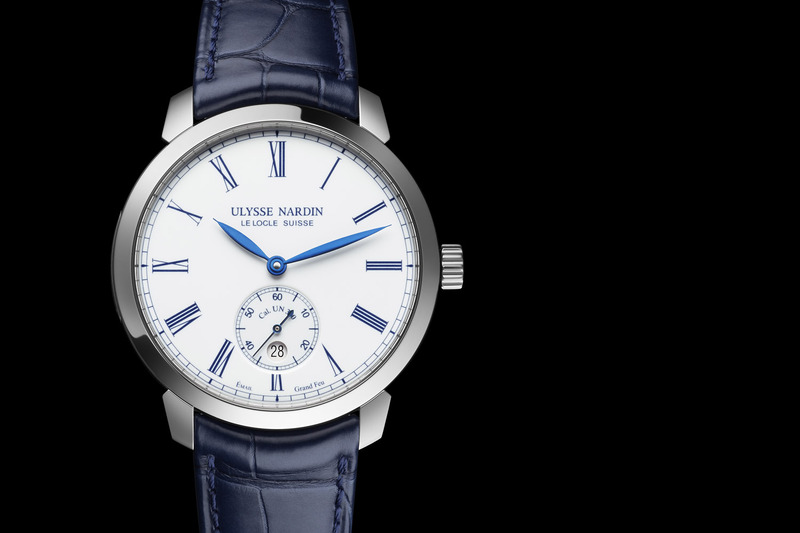 Wrist watches with a remontoire are a rare breed, and sought-after by discerning collectors because constant force towards the escapement is one of the holy grails in watchmaking. Most remontoires are charged and release their energy once per second; the Grönefeld remontoire releases its energy once every eight seconds. A governor – a small device, mainly used in minute repeaters, mitigates sudden forces and shocks – is used to prevent shocks from the remontoire to the gear train. Through the aperture in the dial, you can see the governor spinning every time the remontoire spring is being charged every eight seconds. 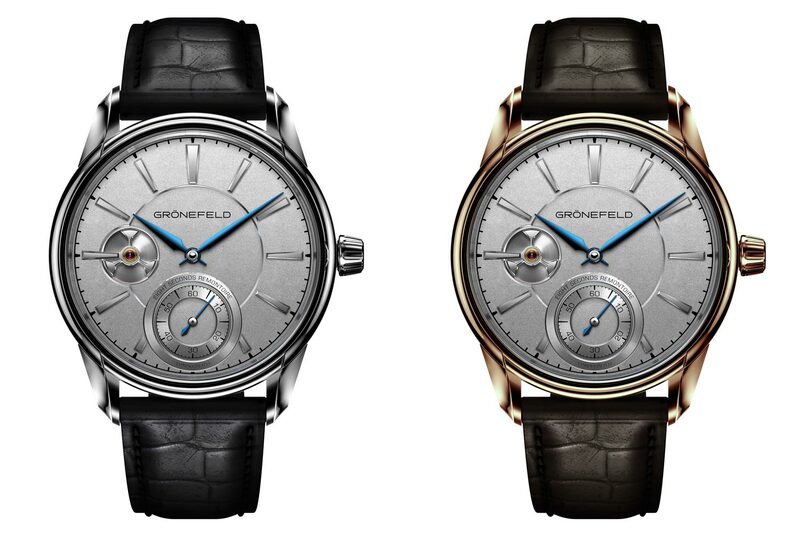 The Grönefeld 1941 Remontoire comes in a choice of case material and dial variants. For the introduction the Horological Brothers have chosen to show us an 18K white gold and an 18K red gold version. The white gold case is not your average white gold case, as it is made of a special white gold and palladium alloy (Au750/Pd150) and is non Rhodium plated! The 1941 case is named after the year Bart and Tim’s father was born. Sjef Grönefeld has had a huge influence in the Horological Brothers, and every time I visit them in their home town of Oldenzaal, Sjef usually pops in for a quick visit. Creating the sculpted case needed a specially shaped cutter to create the characteristic hollowed, concave recesses and convex surfaces. Again no short cuts here! In between each additional cutting phase, the case is polished prior to the next stage of milling, ensuring the precisely defined contours of the case are retained. This is incredibly time-consuming, however the outcome is striking, and exemplary of the work of the Grönefelds. The lugs are fixed from inside the case, with two titanium screws. This allows for detaching the lugs in order to give the case a decent polishing when it’s in for service or, when the watch has been damaged, the lugs can easily be replaced. Besides its graceful lines, the Grönefeld 1941 case has very nice dimensions and measures 39.5mm in diameter and 10.5mm in height. As soon as the watch is finished, we will publish the photos and share them on our social media channels. 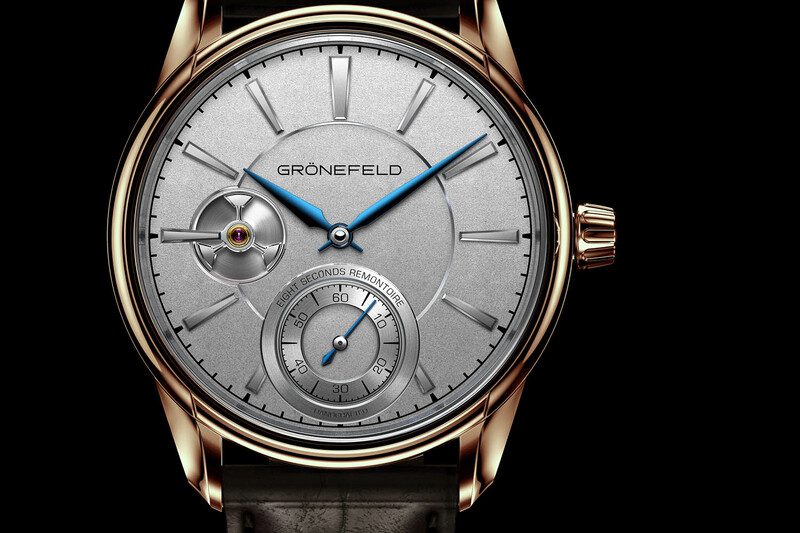 The 18K red gold Grönefeld 1941 Remontoire will have a price of € 49.500 Euro before tax, and the 18K white gold version will be priced at € 50.850 Euros before tax. 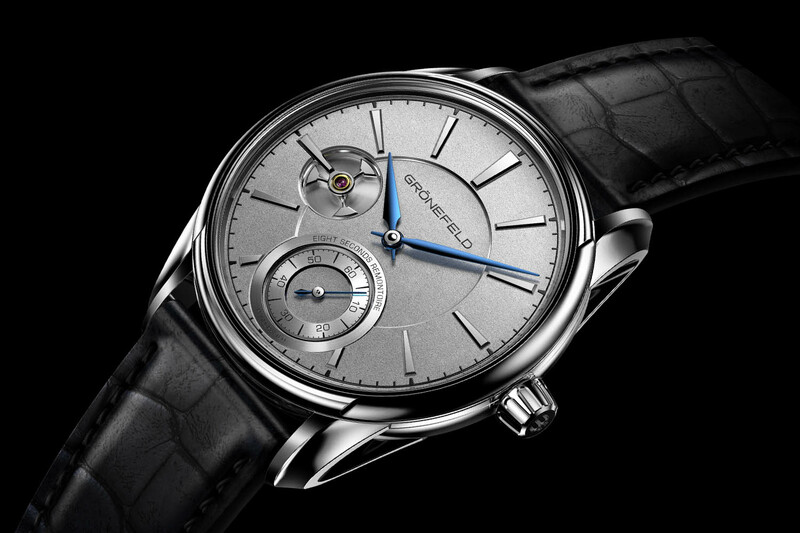 By the way, do not hesitate to share your thoughts about the Grönefeld 1941 Remontoire with us. Do you prefer the white gold or red gold version? Remontoire: to optimize time keeping a small hairspring is wound every 8 seconds to guarantee a constant force for the escapement. A complex satellite gearing mechanism with hypocycloidal gears, twin ball bearings, pinions and jewelled levers, achieve this. 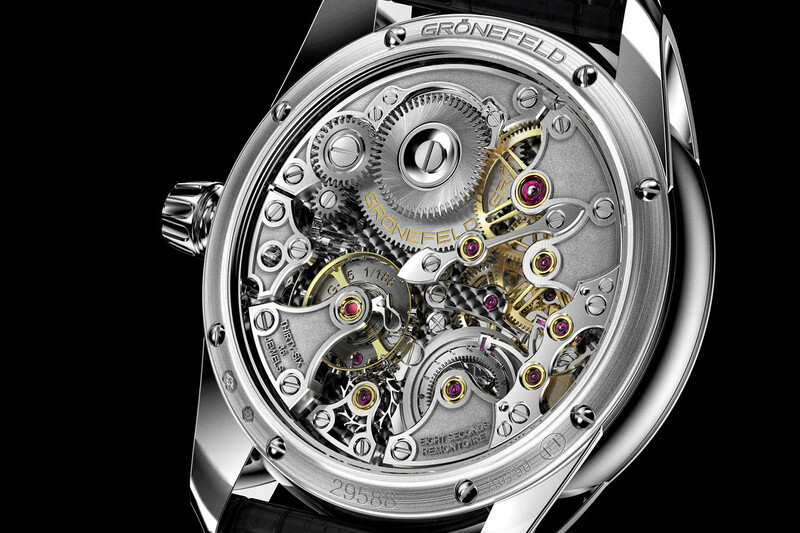 More information, photos and dealer locations at the Grönefeld website here. My mouth just hit the ground when I saw the stunning movement of this piece !! breathtaking !! I have to see this IRL … ASAP ! !